The Culinary Enrichment and Innovation Program (CEIP) is a rigorous program of study designed for proven culinary professionals. CEIP is the only professional development program to offer advanced culinary leadership training specifically created for commercial and non-commercial chefs. 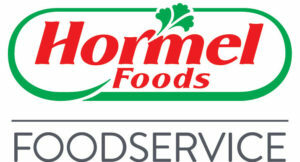 Launched in 2008, the program was developed and is sponsored by The Culinary Institute of America (CIA) and Hormel Foods. The elite innovation-and leadership-focused program is offered to 16 of the industry’s skilled culinarians. Students attend three 3-day modules at the CIA over a 12-month period. At the conclusion of the program, participants receive a certificate of completion and continuing education units from the CIA. Hormel Foods has underwritten the cost of program development and the tuition of this one-of-a-kind program. Travel, lodging and personal expenses are the responsibility of the student.